Ok, here's a quick option for those dinners when you want to have something special, but just don't want to spend too much time or when take-out just won't do. Now I know these are pork fillets, but at home, when we were younger we always called them pork chops, for some strange reason. And the term stuck. To this day, I still call them that. The other day, I was in the supermarket doing my usual grocery run and I saw these gorgeous packets of pork scotch fillets that were on special. (When things are on special, you want to make sure you have some time before the 'Use By Date' printed). These were well within the time frame and looked good. So I picked up a packet since I hadn't figured out what we were going to have for dinner that day. The recipe isn't even a recipe per say, just a marinade and then you cook the meat to your liking. But the sheer simplicity that results in something this delicious made me want to share it with you. Once you apply the marinade, you should try and give it atleast half an hour to an hour to let the flavors do their magic. If you don't have that kind of time, you could still make this and have a delicious dinner, but letting the meat sit in the marinade makes it so much better. Serve it up with some fresh salad and your favorite side and you've got yourself a fantastic meal. 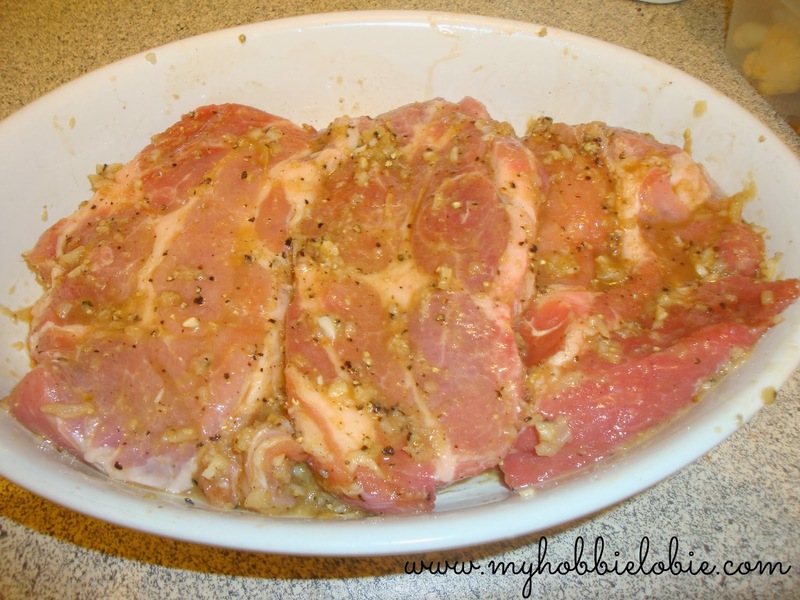 Place the pork chops in a large shallow dish or plate. Sprinkle the salt, lime juice, ginger and garlic paste and the crushed pepper. Rub the marinade into the meat. Let the meat sit in the marinade for half an hour to an hour. I cook it for about 4 minutes on each side. Take it off the pan and let it rest for a couple of minutes. 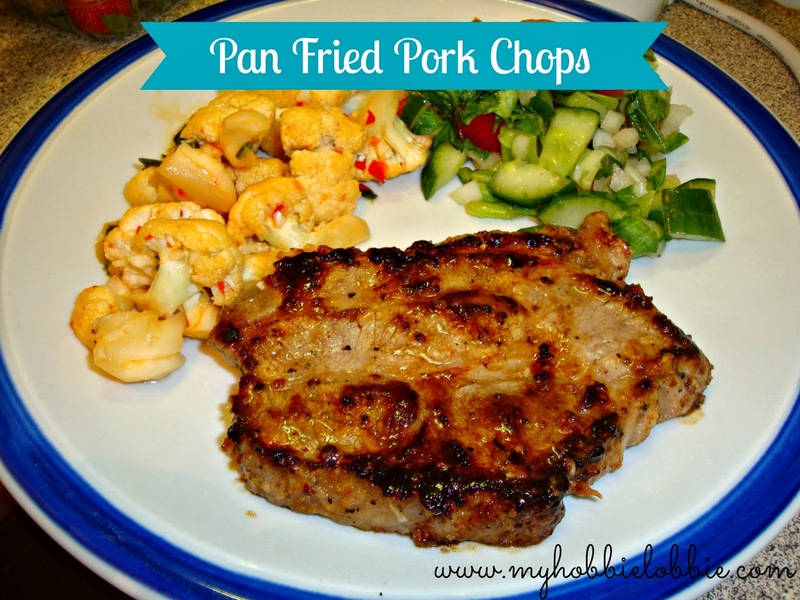 Lovely pics of the Pork Chops accompanied with mushrooms and veggies. Thanks Deepa ... you had me searching for the mushrooms :) That is just some cauliflower! Oh nice. That marinade is very close to what I use for my fried chicken. Will try out your version next.